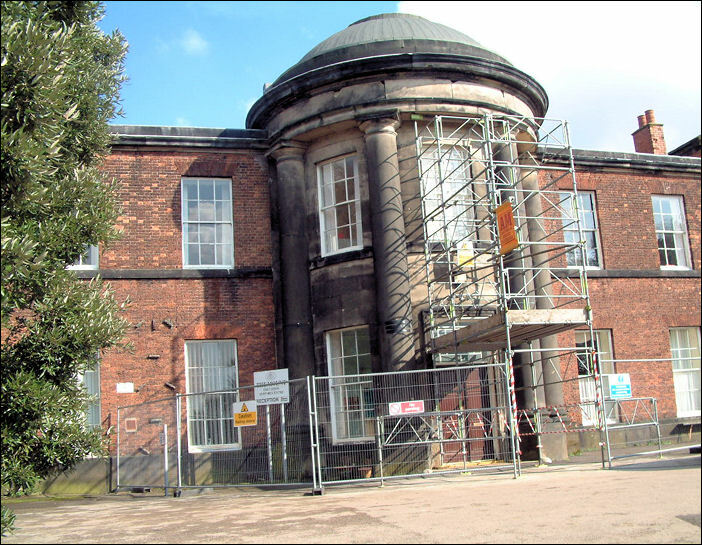 "In extensive grounds midway between Hartshill and Penkhull is the large house known as the Mount, that now forms the centrepiece of the North Staffordshire Blind and Deaf School. It was built in 1803 by Josiah Spode II, who was, at the time, the most successful china manufacturer in the area, and who amassed a great fortune. The original house stands between later additions and is basically an oblong two storey brick structure. On the west front is the main entrance, built from stone in a semi-circular projection, with giant unfluted Roman Doric columns surmounted by a dome. The dome roof conceals a circular skylight and illuminates the fine staircase which has an iron handrail with balusters and trellis patterns. The house is described in an 1840s directory as having "acknowledged pre-eminence" and being "surrounded by plantations and a highly-ornamental domain." When the founder died in 1827, aged 73, he left the house and the bulk of his fortune to his second son, Josiah Spode III, who lived at the Mount until his death two years later. He left a widow and an only son, also named Josiah. His wife continued to live at the Mount for several years but eventually decided to leave the neighbourhood for the benefit of her son's education. 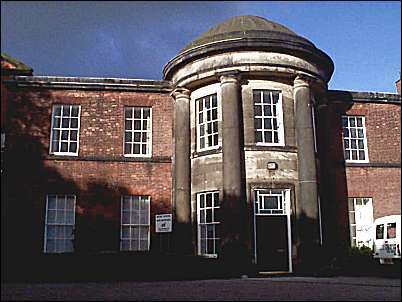 Between 1835-42 the house was tenanted by Lewis Adams, Chief Bailiff for Stoke District in 1839-40, and a member of the firm of William Adams and Sons, manufacturers of china and earthenware. The Mount was later acquired by Frederick Bishop, and, by the 1850s, was a girls' boarding school. 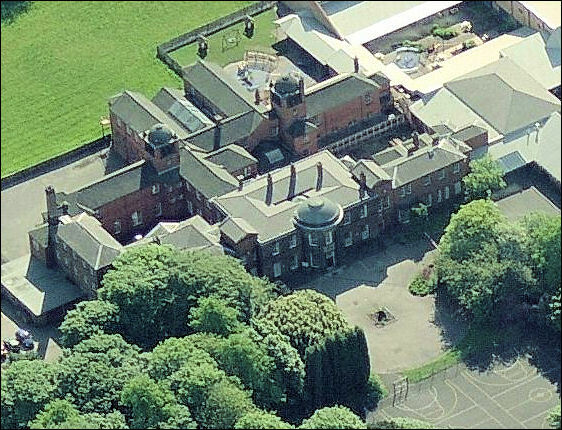 The North Staffordshire Infirmary, to which Josiah II had bequeathed £500 in 1827, moved from Etruria to new buildings erected in 1866-9 on the northern part of the Mount estate, and the remainder of the land, including the house, was taken over by the North Staffordshire Blind and Deaf School in 1897. 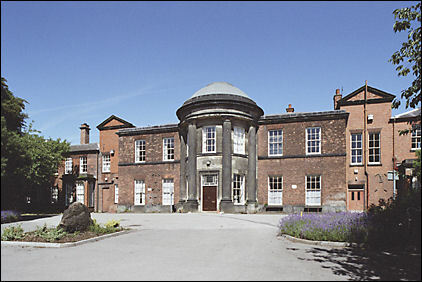 The six pottery towns and the parishes of Wolstanton and Norton formed the North Staffordshire Joint School Authority, which bought the Mount and added the school to the mansion to educate the handicapped children of the area." House, now in use as school. 1803. Ashlar and brick with Welsh slate roof. 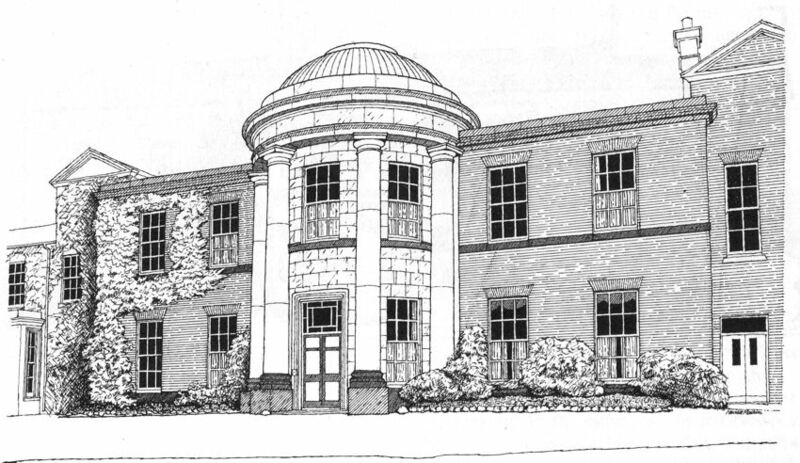 2-storeys, 3 bays, the central section of stone, a convex projecting bay with full-height columns carrying overhanging entablature, and with domed roof over. Central double doors and 12-pane sashes on each floor, with stone plinth, sill bands and cornice. Original cantilevered staircase inside. The house was built for the potter, Josiah Spode. Additions to sides and rear. Later used as a school for the blind and deaf, by 2000 - just for the deaf. 'Of the mansions within the Township of Penkhull, (we may say, indeed, within the compass of the Borough,) "THE MOUNT," erected by the late Josiah Spode, Esq., bears acknowledged pre-eminence. It stands near the village, and is surrounded by plantations and a highly-ornamental domain. The house is an oblong building of stone, with a semi-circular entrance on the west front; an elegant and lofty dome, which lights the staircase, gives an exterior air of grandeur to the structure." "The Willows Primary School was formerly opened in June 2003 by Mr. P. Wood, Managing Director of Spode. The site was originally occupied by The Mount School for The Deaf in January 2003. The Willows is an amalgamation of the Close Junior, Penkhull Infant and Penkhull Nursery Schools. The Willows Primary School is a unique building having been built on the former Mount Estate, home of the great English 18th Century potter Josiah Spode. The school is named after Spode's world famous "Willow Pattern" pottery which was originally designed by William Greatbatch, whose name is now commemorated as Greatbach Avenue where the Willows can be found." Even today, the house is an imposing structure which was built to impress upon all visitors the commercial success, wealth and status of its owner. It is built mainly of brick with stone used to emphasise its architectural features.